Honesty. Do you have a problem teaching your kids about it? My preschooler has a hard time understanding what it means exactly. She knows it is good to be honest. So when she is being bad (crying, acting out, being mean to her sister, etc.) she will say, "I'm sorry I'm lying." Then it seems once kids are older they know what it is, but lying is so tempting. The joys of being a mom, right? It isn't easy, but it is so fun and challenging. And I love a good challenge. I mentioned in my post about my command center that we focus on a value a month. January is always the value honesty. We have already had quite a few lessons on it this month, but I am excited to teach my daughters more. I am hoping to help my preschooler understand it better than she did last year. I am going to share some things on the blog with you. Each month I will share what the value is that we are learning about. Then I will share what I plan on using for Family Home Evenings every Monday. I also plan on sharing a post about books that we have read about the value we are learning. Also, movies that we plan on watching or have watched that teach kids about the monthly value. Lastly, I want to share a printable quote about the monthly value. That way you can display it in your home as a reminder. 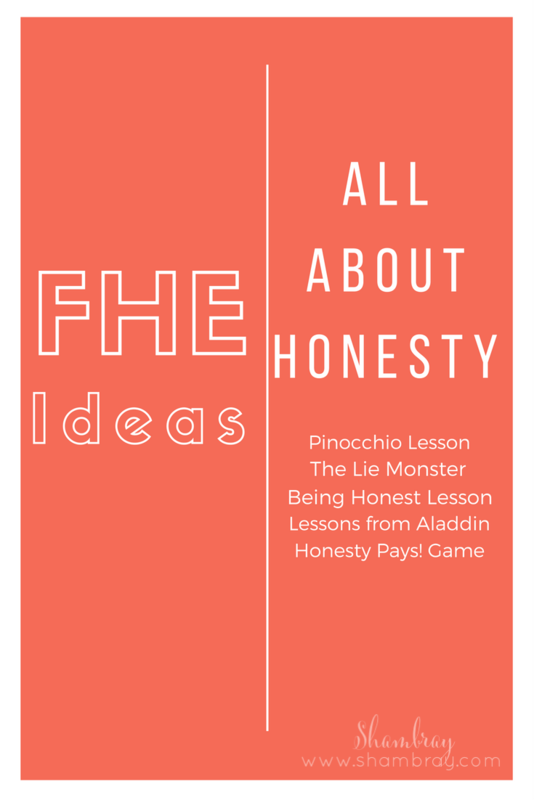 I am hoping this will help you teach your kids more about the lost values in today's world. I will have tried and tested the books and possibly some of the movies. I am excited to start learning these values with my daughters for the second time. Last year seemed to introduce them. This year I hope to get more of a solid grip on them. Since I have already missed a Monday night I wanted to get this post up ASAP. 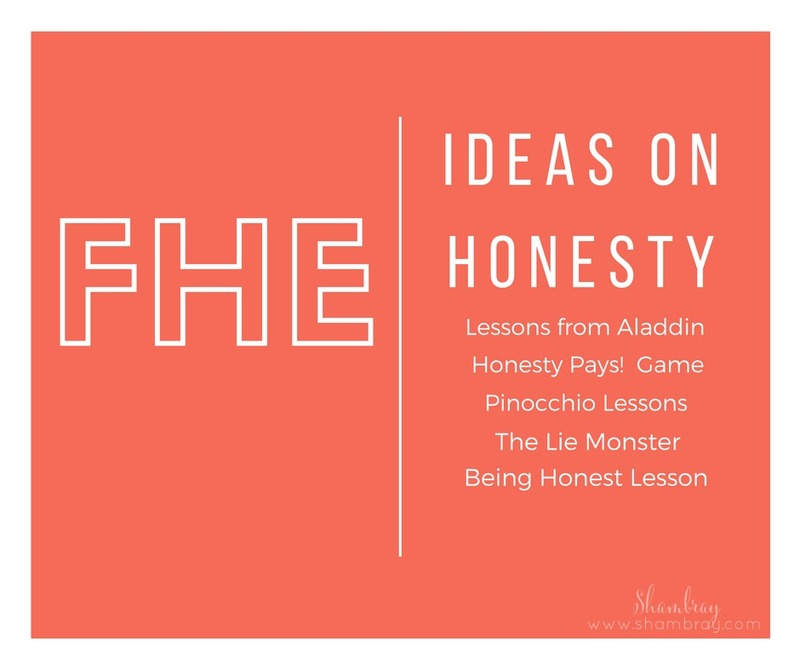 Here are my plans for our Family Home Evening lessons on the value, Honesty. These are all guidelines that I will look at. I might have to change some things up. I have a four year old and a one year old. So their attention spans are very different. I might have to alter some of these lesson plans, but I like the basics that are with each one of them. I encourage you to do the same. Do what works for your family. Although I missed the first Monday this month I still wanted to give you 5 different choices! These all look fun and entertaining for kids of all ages. I hope I'm right! Do you have any other Family Home Evening ideas about honesty that I didn't mention above?